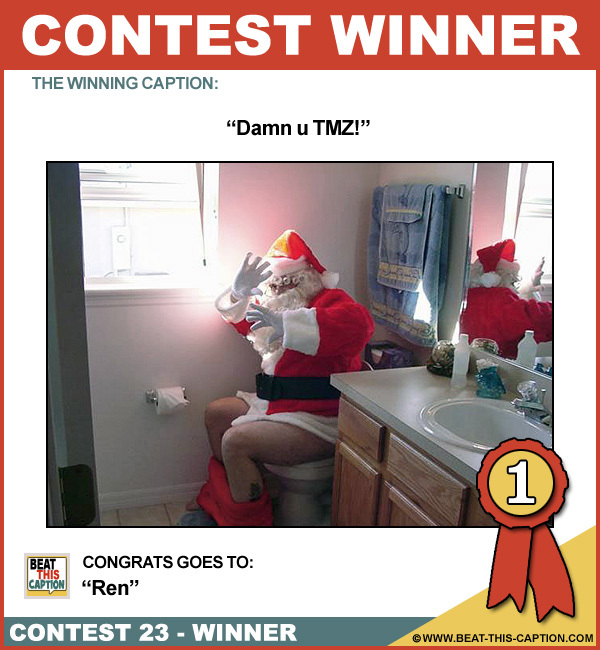 Beat This Caption Contest 23 Winner – Caption Contest Funny Clever Witty Enter Today! Thanks for the Cookies… #%@HOLE! Don’t worry, I’m just roasting the chestnuts! Maybe a banana will stop the volcano! Why do you smell like my Daddy? Aw, give me a break! I’ve been holding this in since Tokyo! Santa….when I asked for some good sh*t for Christmas….I meant drugs!! Looks like Santa has one last package to deliver!